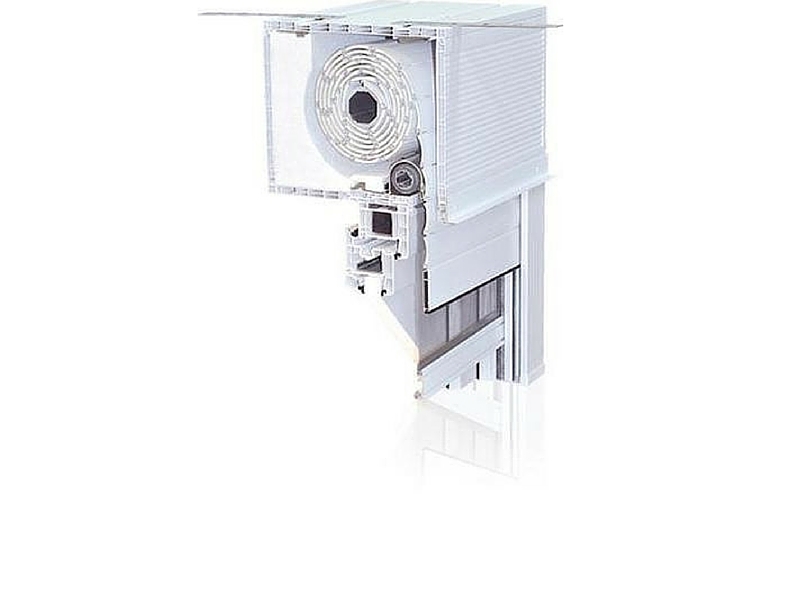 Shutter box is front mounted on the window in level with the facade and is not visible after being plastered.In case of service we can easily reach the structure through a service panel from below.This system is available in plastic or aluminium and can be integrated with a vertical insect screen. Overwinding is prevented by a hidden stopper.Roller shutters can be moved manually by tape or cord. The advantage of this system over the front mounted ones is that they can be built in together with the windows. 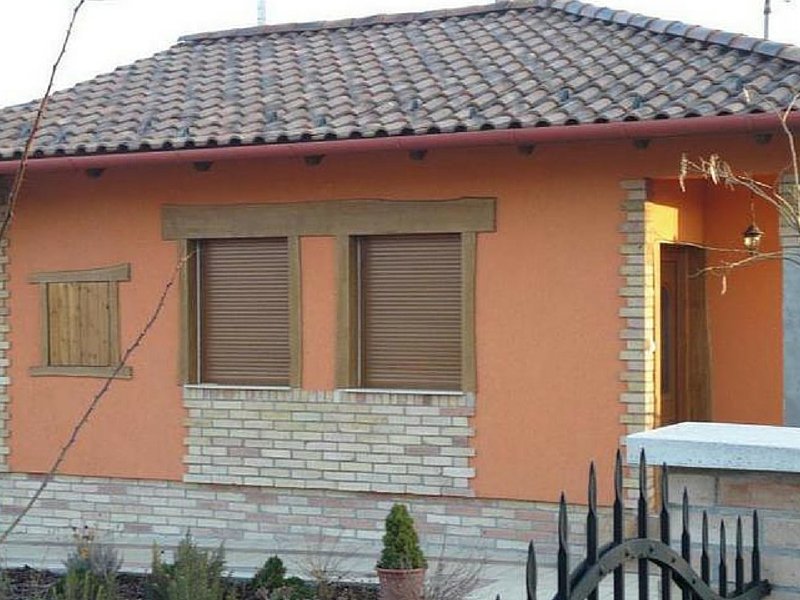 The connection between the window and the roller shutter box is ensured by a special clip that statically also strengthens the window. The double-chamber roller shutter box ensures better thermal insulation and extra stiffness. 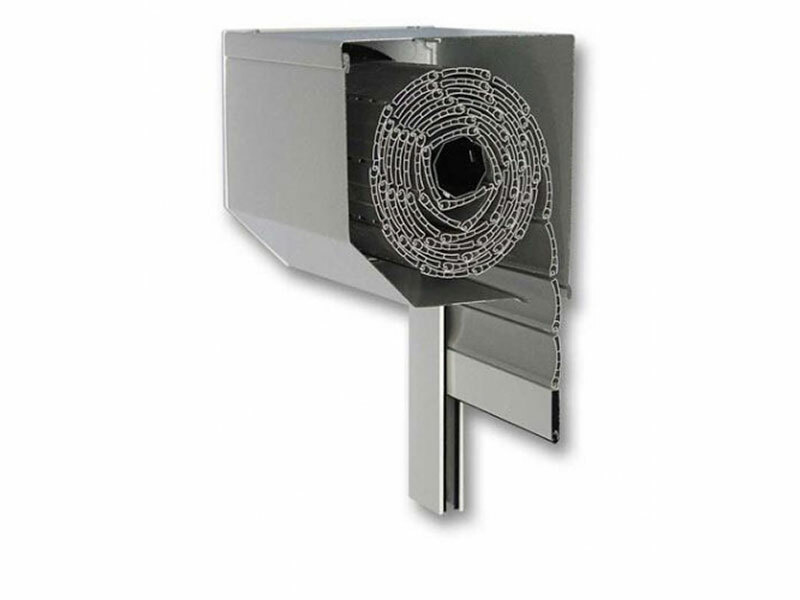 The mounting of the headbox to the lintel is secured with a metal plate that is suitable for all types of window systems. 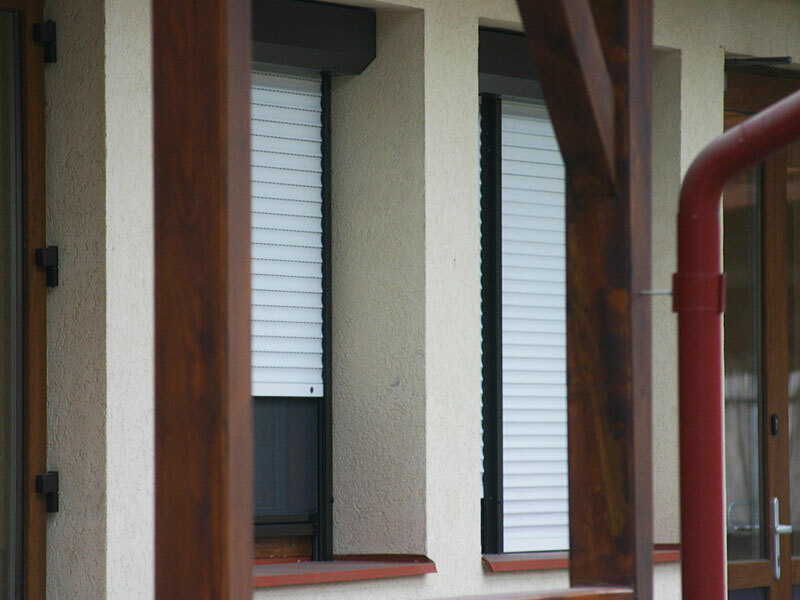 The integrated roller shutters depending on their type can be fitted with outer and inner plastering edges so the width of the case can be expanded up to 38-centimetre wall thickness. This system can also be combined with vertically movable integrated insect screen. 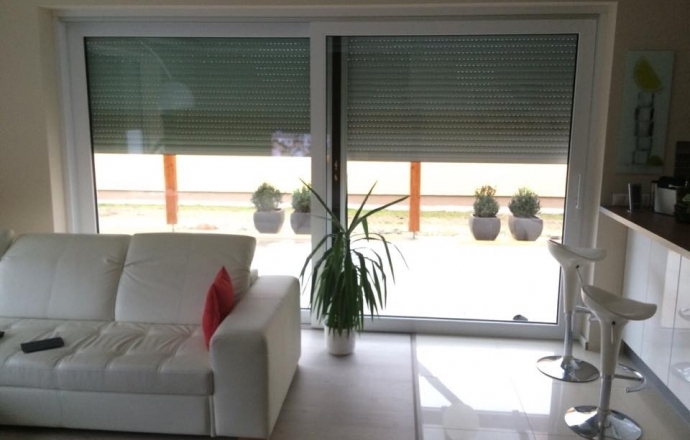 The insect screen can be fitted with anti-kickback brakes and vertical click-system on order. 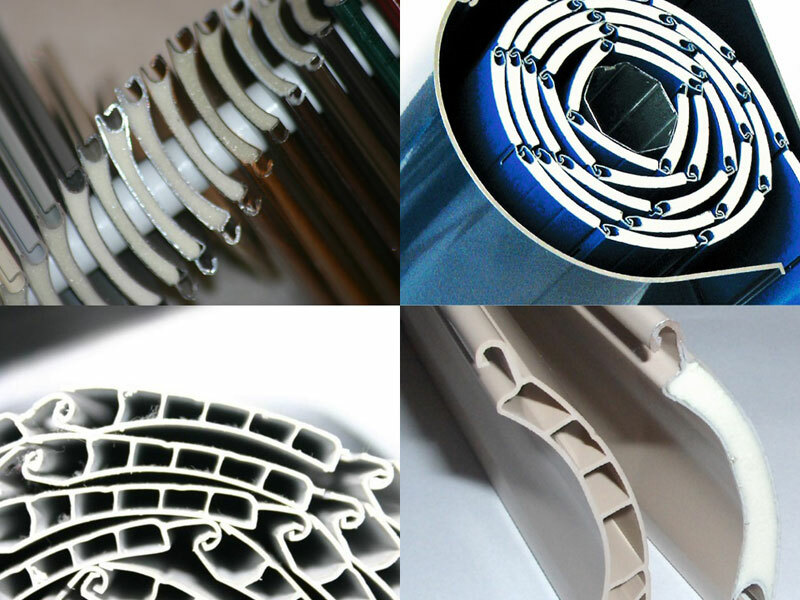 This roller shutter system can come with plastic or aluminium laths. 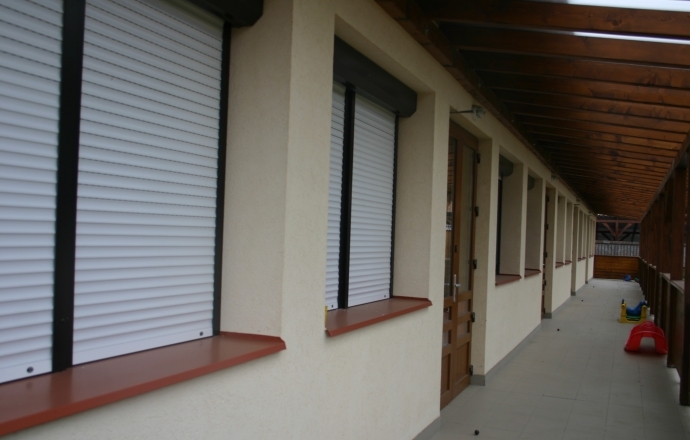 Front mounted plastic roller shutters- the most popular type,folded from Lindab sheet and with aluminium side frames.Within the box it has a roll tube with ball-bearing and the plastic slats go in a plastic or aluminium guide rail with a brush inside.It can be integrated with a built-in insect screen moving vertically.Overwinding is blocked by a hidden backstop.Roller shutters can be moved manually by tape or cord. 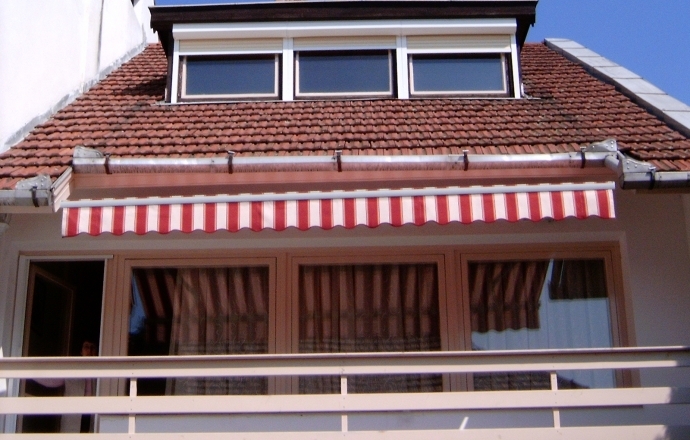 These are the most modern types , totally aluminium structure with steel roll tube,ball-bearing and the slats are anodized(eloxated) aluminium profile,filled with polyurethane foam for sound- and thermal insulation.Slats have plugs to avoid any possible sideway movement of the profiles-Side Lock System- and they reduce noise and let the roller shutter last longer.They have aluminium guide rail with a brush inside and overwinding is blocked by a hidden backstop.Roller shutters can be moved manually by tape,cord or by tubular motors to provide maximum comfort for you.